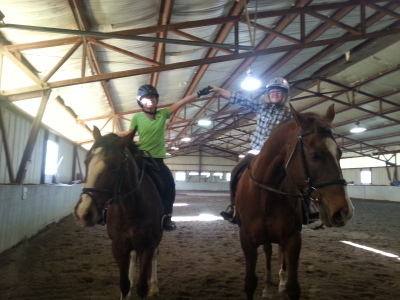 We specialize in riding lessons for beginners and intermediate riders of all ages and backgrounds. We offer lessons for children as young as three and for students with disabilities. Come meet our safe school horses and join the fun! We have recently moved to Nottingham Farms in Liberty Township, come check out our amazing new location! See what types of lessons we offer and if we are the right choice for you. 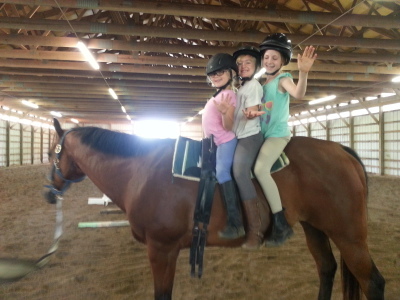 We offer Summer Camps for riders ages six and up. I began teaching lessons at the age of fourteen and loved it from the start. Twenty years later, I still love teaching and I now have my own small lesson program in Liberty Township, Ohio. I specialize in teaching beginner to intermediate riders in english, western, pleasure, jumping, and dressage diciplines. I look forward to welcoming more students to our family and watching the program grow so that I can continue to share the joy of horseback riding with others.